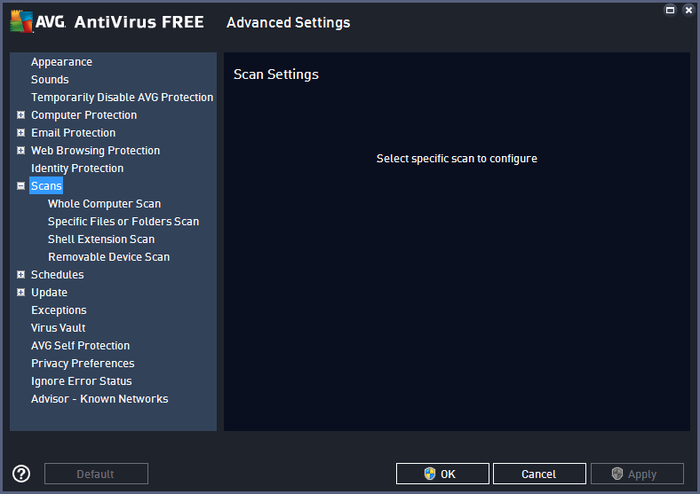 AVG AntiVirus Free Download 2016 Edition Windows 32/64 bit, a popular antivirus software provided with no charge. The User Interface is slick and easy to use. The application will display the status of it’s modules on the main window. You will receive information about Web Protection, Identity Protection, Firewall and Email Protection. It also displays buttons for going to Options, to Scan the computer, to receive support, to improve performance and to report bugs or issues. The scanning behaviour can be customized to your own desire through accesing Option menu and choose whatever Scan method you like. Here you will also find a history of previous scan results involving files, emails, threats and other issues and actions made by AVG. The antivirus engine is really strong and quickly reacts to malware detection. 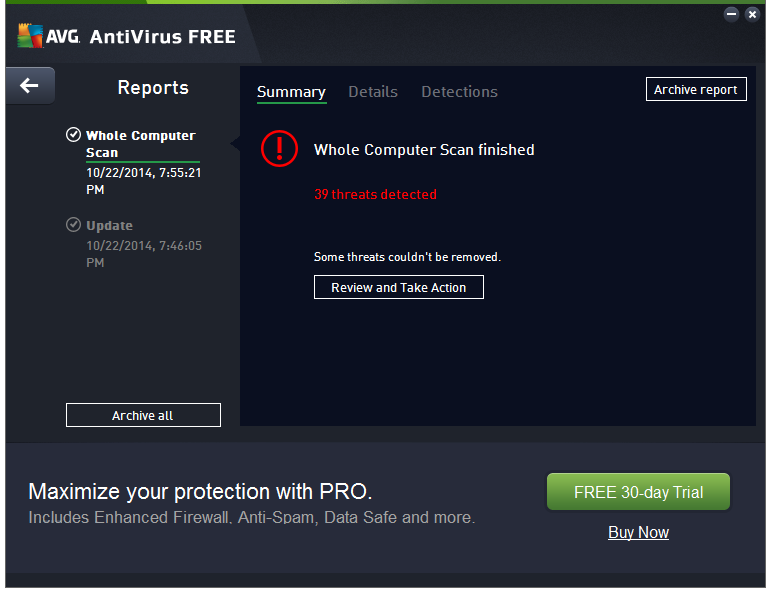 All detected viruses and malware will be stopped from spreading and taking actions. They will either be cleaned or quarantined. You can also download Avast Free Antivirus 2016 or Malwarebytes Anti-Malware Free Download with similar features. If a virus is not already known in the database doesnt mean that will go unnoticed by the antivirus. The Heuristic scan will search for common virus behaviour in any scanned file including dll lybraries and executable files. The Web Protection is possible by scanning the links for known threats. Improved protection against latest threats by using a cloud detection and intelligent detection. 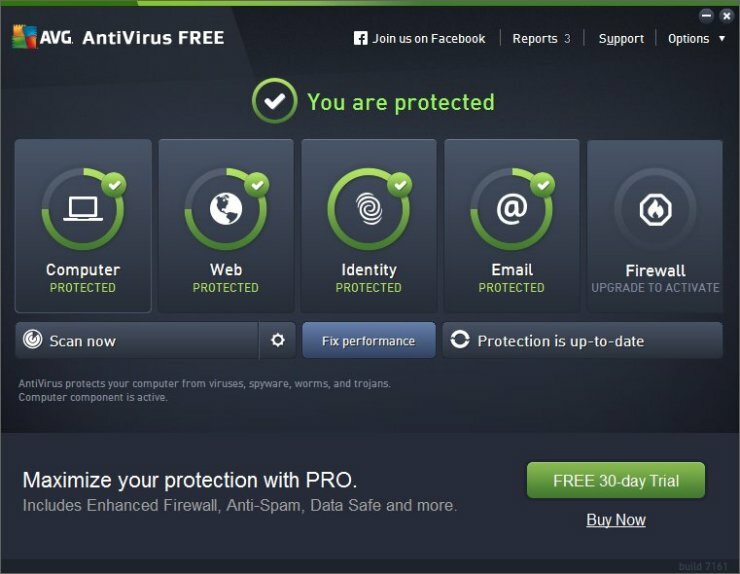 AVG Advisor: automatic detector of issues that can hurt your computer’s performance and behaviour. Data Safe: gives you the possibility of creating virtual safe vaults in order to protect important data. Multiple Language Support: english is always as default. Easy and intuitive User Interface and installation process. Email Protection: advanced heuristic scan of incoming and outgoing emails. After you download the setup file from our website and launched the installer, you will be prompted with the first window where you can choose the language and the possibility to do a Custom installation. The default language is english. Only pick Custom install if you want to choose a different install location and prevent the installation of some components (we don’t advise you to do that). You won’t be prompted with other things to change after this step. After this step you won’t be prompted with other things to change. Click the link below to start the AVG AntiVirus Free Download 2016. If you have any problems while downloading please leave a comment below. After the page opens remember to choose the “Download through your browser” option to start downloading AVG AntiVirus Free 2016 Edition Offline Installer, Standalone Setup.